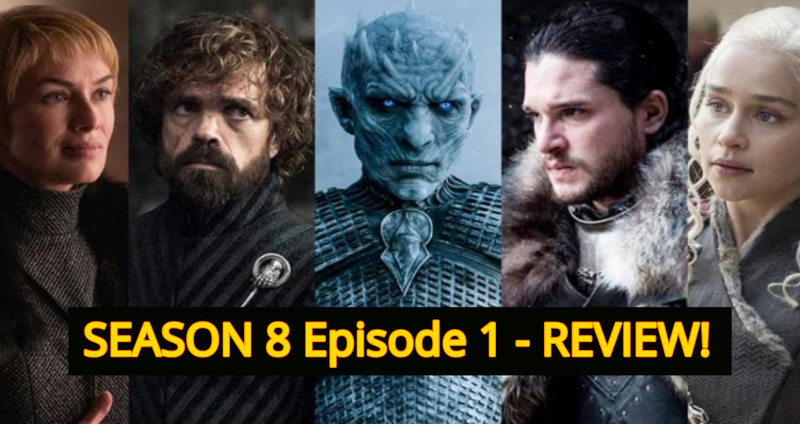 My verdict about the entire Game Of Thrones season 8 episode 1? Choppy. But I am satisfied- They kept it low on action and more on everyone finally reuniting almost as if they laid the base for all the episodes that are to follow. 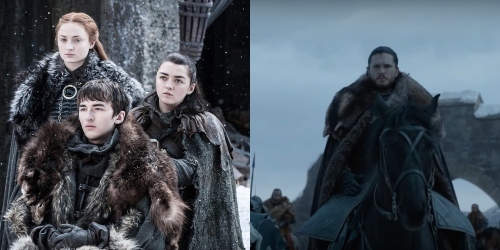 After a long hiatus, they gave us an episode of long-awaited reunions, some new introductions, and the surviving Starks once again, under one roof and in their home – Winterfell. That is also the title for their first episode, letting us know about the focus that is entirely on the North and the gathering of armies to prepare for the Great War. Winterfell had its choppy moments, almost looked rushed but they had to cram everything into one episode and it was great nonetheless. 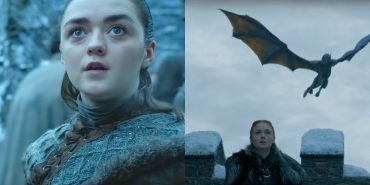 Starts off with Arya in the crowd watching Jon Snow return with Daenerys, her armies and two dragons to which the reactions of Arya and Sansa are amazement and worry respectively. Something we have seen in the trailer. Arya after a long time shows that same child-like excitement upon seeing Jon and her expressions turn grim when she sees The Hound and Gendry. She meets both later on with a cold exchange with The Hound and a rather flirtatious one with Gendry, perhaps? 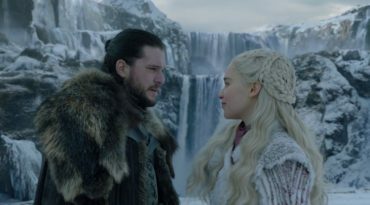 Jon Finally meets Bran and is relieved but this is where it gets hilarious- When Sansa is introduced to Daenerys by Jon, the look she gives to her (For the Desi crowd, I am sure the female readers were reminded of one auntie or two, because same) and says “Your Grace, Winterfell is Yours” if that isn’t the biggest shade than I don’t know what is. Back to the awkward introductions between Sansa and Dany, as they are going on, Bran is seen immediately cutting them off by telling them the bad news. I am not sure if this scene was deliberately made funny or it was just me who couldn’t take it seriously. 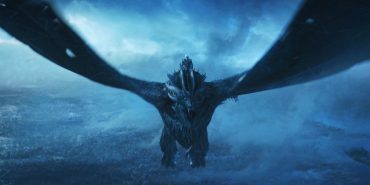 Bran cuts them off like he doesn’t have time for this nonsense, and delivers the bad news about her dead dragon being under The Night Kings spell, reminding everyone about the danger that is getting closer now that the Wall is broken. A council is set where all the Lords are not pleased about Jon bending the knee and questions what title he holds? 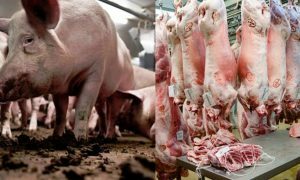 They were angry, I tell you. And it got worse when Tyrion spoke in Jon’s defense and broke the news about The Lannisters army “joining” them in the fight against the dead. That really gets them and Sansa raises concerns regarding the food ration that isn’t enough. Jon reminds the council about the two choices he had, either save his crown (which even he knows doesn’t matter) or the people of the North by gathering allies. 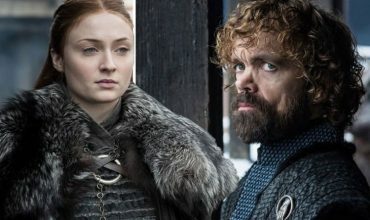 Tyrion and Sansa have a chat and it ends up in Sansa scoffing at Tyrion for being so foolish to think Cersei would ever do the right thing and tell him “I use to think you were the cleverest man alive” – I don’t want to become paranoid but even I am worried about the Lannister army that is traveling to the North and I hope it really is to fight WITH the North against the dead and not fighting amongst them. 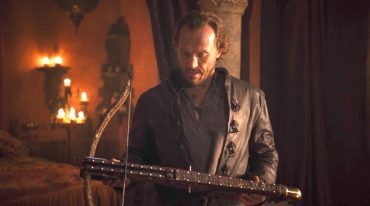 Things are left uncertain regarding this since Cersei sends her Hand (with chests of gold) to ask Bronn to kill Tyrion with the same weapon he killed their father Tywin Lannister with. If she could do that, what are the chances that her army too will try to kill everyone in Winterfell? She does know about the dragons that will toast her soldiers to a crisp. Guess we’ll have to wait to find out. But things don’t look good as Bran is seen giving Tyrion an ominous look when he is chatting with Sansa. Bran is the all-knowing after all. The good thing is, nothing will remain a mystery anymore in this Game Of Thrones season and we will soon find out what she does. 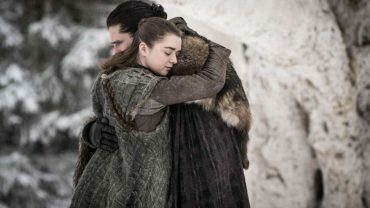 Jon finally meets Arya and this scene is definitely a setup for the coming story of ‘the big reveal’ in this episode when they are talking about Sansa, he says “Just remind her I am her family too” to which Arya replies “Don’t you forget that either” since he is about to find out who his parents are and he will be conflicted about that but is reassured that Starks will always consider him family. Back to Cersei and why on earth is she so smug and satisfied with the fact that The Wall is broken and the dead are marching? She then heads inside to receive the golden company that will fight on her behalf. 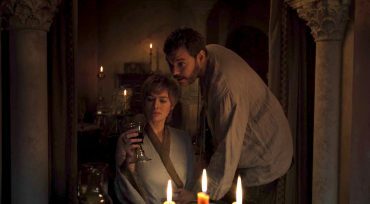 Euron Greyjoy reminds her about their agreement and Cersei tries to put it off but he seems eager and reminds her about how much he has done for her. To which you see a moment where she beds with him trying to keep him under her thumb because he is too much of an unpredictable man and she needs him on her side, poor her. Not to mention the cringe developing line he says to her “I am going to put a prince into your belly“. Too late Euron Greyjoy! Cersei definitely wanted to vomit over that and so did we. The scene with Samwell, all I can say is – That escalated quickly. Where in the midst of Dany thanking him for curing Ser Jorah’s illness learns she killed Sam’s family, to which Sam is seen asking her for a moment to process everything and grieve. *Ah! This polite cute man* As he heads out, Bran tells him it’s time for Jon to know who he really is. Probably the most awaited scene. Sam reunites with Jon and breaks the news- He finally knows or knows more. Strongest line? 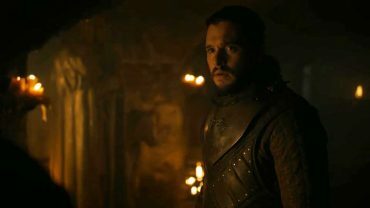 “You‘re Aegon Targaryen, the true heir to the Iron Throne” *Chills* This definitely has us anticipating what Jon does next now that he knows. Some predicted he keeps this as a secret since there is a Great War to be dealt with. Let’s see how things pan out between Daenerys and Jon. 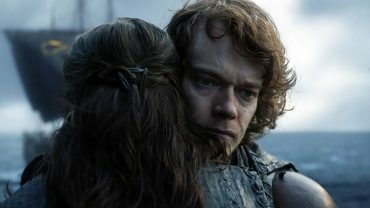 Oh, let’s not forget the Theon and Yara reunion, as he comes and saves her. Later we see he chooses to split and go fight the army of the dead and be more honorable. There’s a definite change in him and he looks sure of himself and what he wants to do next. Yara decides to go back to the Iron Islands. The episode ends with Jamie arriving at Winterfell, satisfied that he has chosen to do the right thing until he sees Bran, alive and staring right at him and the look of horror on his face is the ending highlight or is it? 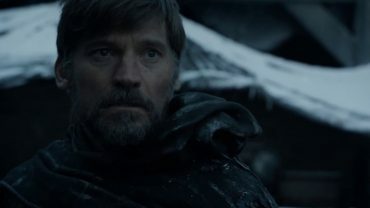 Out of all reveals and priceless reactions, one that truly is horrifying is the scene with the Night’s Watch at The Last Hearth. Turns out they didn’t get those extra wagons and horses. Tormund and Beric with some Wildlings make it to the Last Hearth where they run into Ed and the Night Watch, who are also investigating the place and to all of their horrors they find little Lord Umber who is turned into an art piece by the Night King. *JumpScare Scene* Umber tuns into a wight and starts screaming, they set him on fire but he continues to scream and it’s a true Game Of Thrones horror moment. 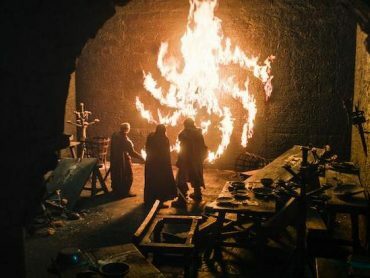 Apart from some of the comedic scenes in this episode, this was definitely a light setup to the super climax, biggest and the last battle of the show that is about to happen in the coming Game Of Thrones episodes. Tell us in the comment section below about what you think will happen.